Today I wanted to show you one of four quilts made by women prisoners of the second world war. A lady named Ethel Mulvaney got ladies to make patches for quilts with a little of themselves attached. 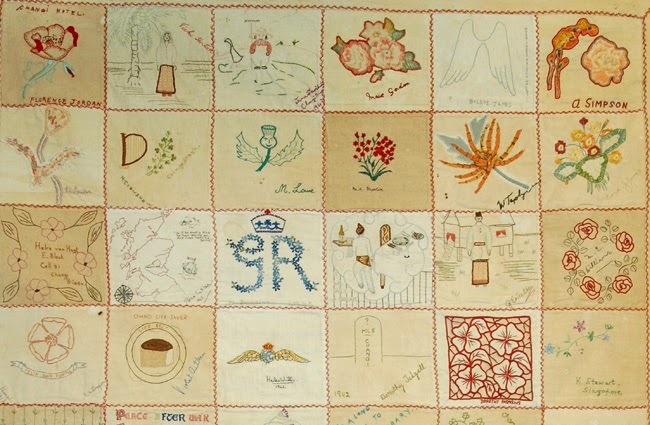 They were sent as quilts to military hospitals to sick men but actually had secret codes hidden in them. One such code told a husband that his wife had given birth. One quilt hangs in the Red Cross museum in London and two are in the Australian war museum. 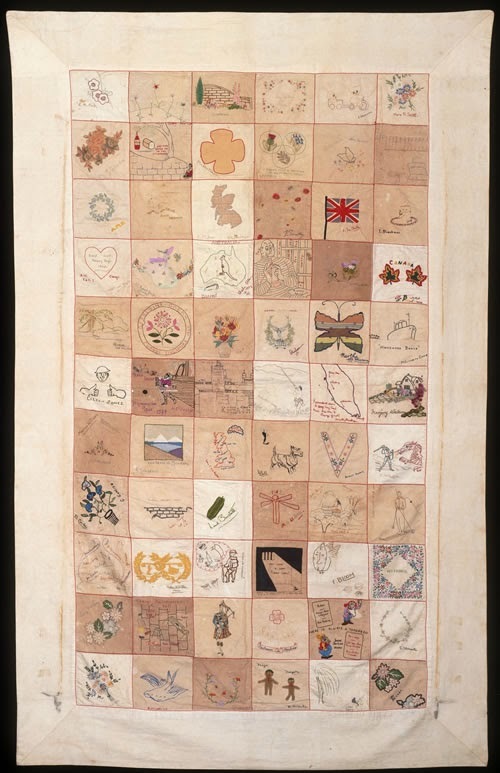 The forth quilt was given to the Imperial war museum and was given by the daughter of Mrs Innis after she died. It is named the girl guide quilt. A remarkable woman named Mrs Ennis started a guide group for the children who were in the camp and they would meet once a week to break up the boredom for them and take their minds off of the horrors they witnessed. Those children started that hexagon quilt. They would unpick clothes they had that were falling apart and re use the thread. 20 girls made the quilt as a Birthday present for Mrs Innis and each girl embroidered her name in the middle of each hexagon. These quilts are stunning and have so much history and a little of every woman who stitched them is attached to the quilt squares. The cleverness of Ethel for thinking of this idea was amazing. And the 20 children who risked being punished who sat and stitched the quilt for the lady who inspired them and taught them the constellations. Have a google and see for yourself the work and souls of these courageous women and children.